Last Monday (24th April) was the one year due date birthday of Henry and Archie, this day one year ago is when they should have been born, although of course Henry is in fact sixteen months old. 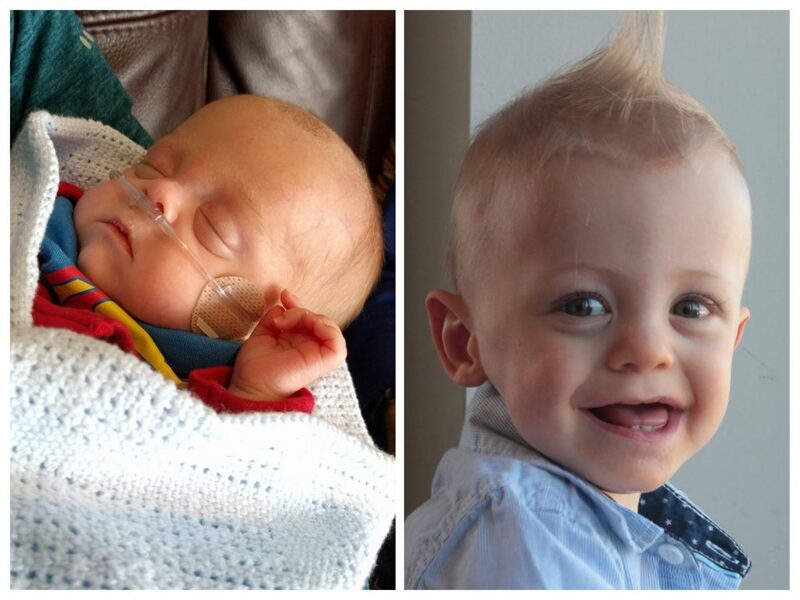 This time last year Henry had been home from hospital for a whole week! Looking back now, it’s incredible to see how far he has come from being on home oxygen and sleeping most of the time to the lively and energetic little boy he is today. We perhaps would not put so much emphasis on his ‘due date birthday’ if Henry and his brother had not been born so close to Christmas, but as this is the case we are planning to use the due date as the main celebration time for Henry as we feel that his real birthday may get a little overshadowed by Christmas festivities. To celebrate the occasion, this year I decided to organise a special party and turn it into a fundraising event to raise money for the Oliver Fisher Neonatal Unit who cared for both our boys. As Henry loves his books I chose a book-theme for the day and put together various activities, including: a raffle, treasure hunt, photobooth, book quiz and cake sale. We also had a fancy dress competition; Henry and his girlfriend dressed up as Peter Pan and Tinkerbell amongst other very cute baby costumes. 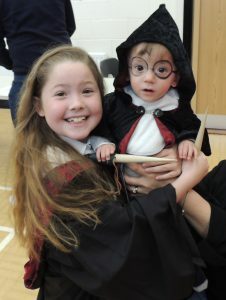 Overall the competition, judged by Henry’s Godfather and ex-Oliver Fisher baby, was was won by a very cute Harry Potter and Hermione! 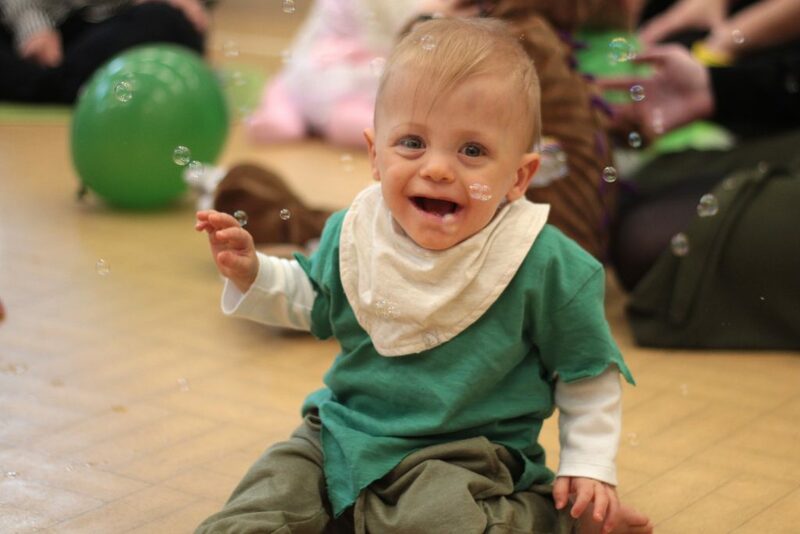 A highlight of the day was entertainment for the babies in the form of Music Bugs which was great fun with the babies enjoying exploring the different instruments on offer as well as lots and lots of bubbles! The energetic instructor, Amy, also very kindly donated to our raffle. In addition we had a bouncy castle and soft play to keep the babies amused, although we discovered Henry seems to be completely terrified of bouncy castles! 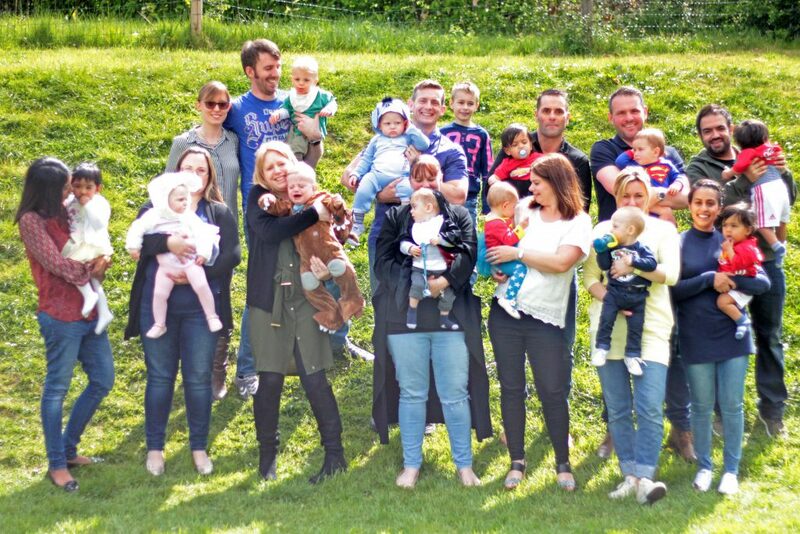 It was lovely to see so many of Henry’s hospital baby friends at the party, all doing so well despite each of them having had a bumpy start to life. In total the event has raised an additional £440 towards our ongoing fundraising of which we have so far reached a total of £2,643. If you would like to make a donation click here to go to our Just Giving page.